click on image to enlarge The Settlement Research Group in the city of Kecskemét was founded in 1982 (since 1983-it has been functioning as affiliated into Centre for Regional Studies Hungarian Academy of Sciences) and up to 1998 its collection grew rather on occasional basis only. The Alföld II Strategic Development Programme (starting in 1998) provided better conditions for leading a more conscious and a more carefully planned operation of the Library. The Library’s electronic catalogue system (ISIS) is accessible internally only. Our Library is a public-access special library with limited services. Its primary function is providing background services for the researches carried out in CRS HAS Alföld Research Institute and for providing reference and bibliographic services for local researchers. 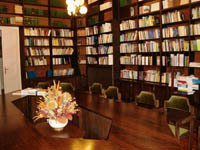 The Library’s Acquisition Policy covers special literature related to the economic – social – environmental processes of Alföld (Great Hungarian Plain) with special attention to Southern Great Plain; beyond the literature of regional and local development, various books are collected in the fields of national coverage documents of micro-regional and rural area research development, information society, sociology, environmental issues and nature conservation, public administration, geographical science, regional science, basic statistical publications. Scientific research reports, manuscripts associated to the Department’s activities as well as book collections and journals are available for our readers in the Reading Room. These documents are allowed in house use, only, their borrowing for visitors is not permitted. 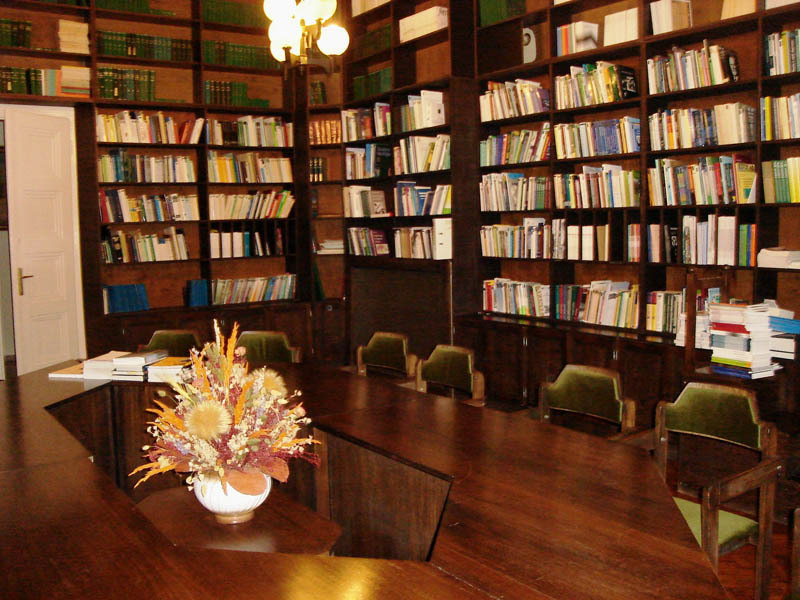 The Library is an organic part of the Kecskemét Department; the majority of its holding is available in the Reading Room, performing the functions of a Meeting and Conference Room as well. Besides rooming a relatively small size of holding the Library performs various reference services such as preparing a special bibliography and reference materials. The Library also contributes to the building of KPA-MTMT (Publication Database of the Hungarian Academy of Sciences, Archive of Hungarian Scientific Literature) databases. Our Library is an editor of an annotated bibliography titled ’Könyvek az Alföldről – Válogatott annotált bibliográfia’ (‘Books on the Great Hungarian Plain – A Selected Annotated Bibliography’) the product of the local archive collection librarians in 9 county libraries of the Hungarian Plain, which is published in the volumes of our ‘Alföldi Tanulmányok' series. Although the publishing of the series has been suspended but its planned restarting would mean the continuation of our Alföld Bibliography series. For the 20th anniversary of the foundation of Alföld Research Institute Kecskemét Department a selected and annotated bibliography was published under the title ’Egy kutatóműhely két évtizede (1982-2002)’ [Two decades of a Research Wokshop (1982-2002) recording the Institute’s scientific publishing activities.